What Makes the SV 9 Competizione Unique? So Why Have We Never Heard Of It…Until Now? 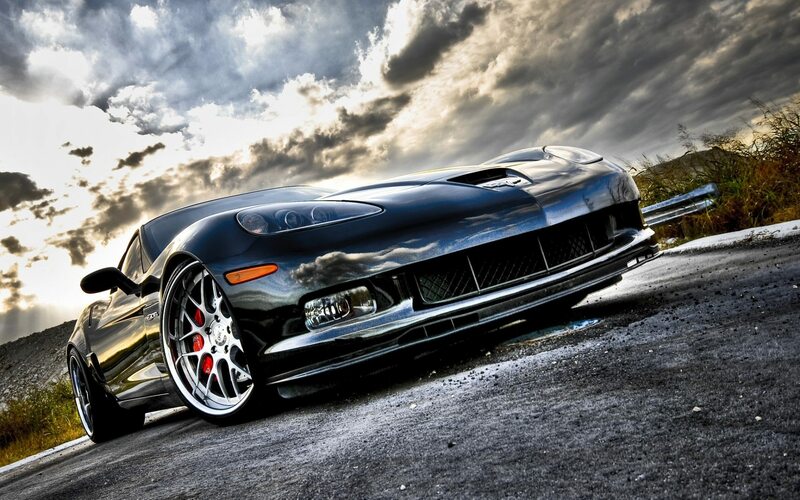 Almost since its introduction in 1953, the Chevy Corvette has often served as the foundation from which many aftermarket automotive manufacturers have created their own unique vehicle brands. 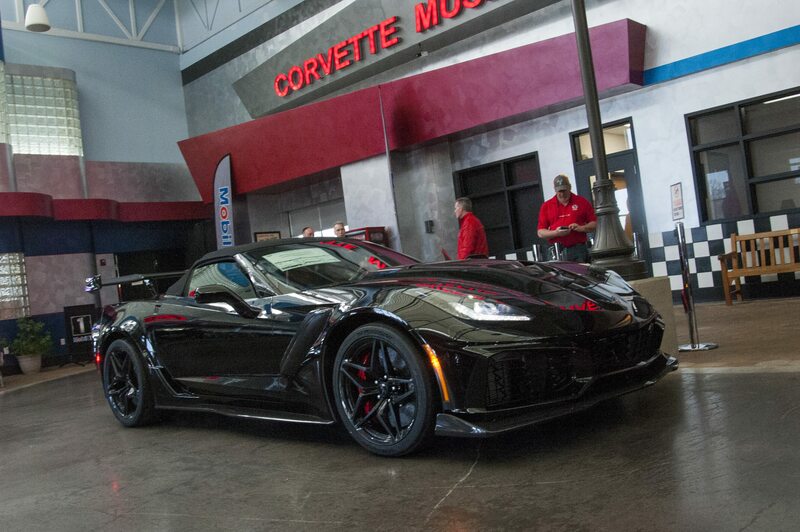 This “branding” goes beyond customization; these machines are unique creations that capture the vision of their designers and use the Corvette solely as the “starting canvas” from which some truly inspired sports cars have evolved. Recently, Corvsport.com published a piece on one such vehicle – the Equus Throwback Corvette. Today, we bring you another: The Corvette SV 9 Competizione. Unlike the earlier article, however, this story is swaddled in controversy with a twist ending that is just as dramatic as the car itself. The 2009 SV 9 Competizione. As early as the late 1990’s, San Francisco based coach-builder SV Motor Company envisioned a car that took the raw performance of a Corvette and refined it with a touch of Italian flair. 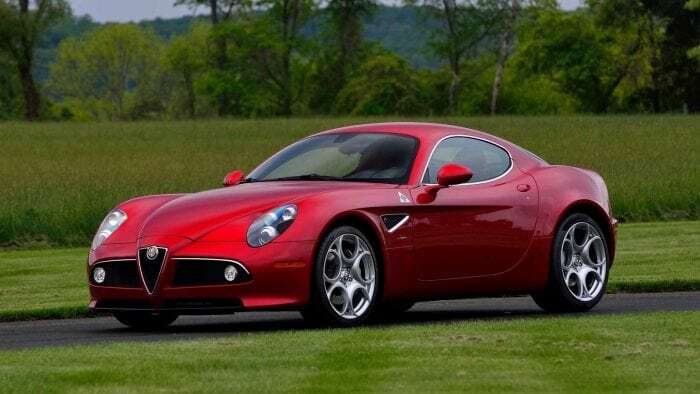 Their vision was to infuse many of the design elements found in the Alfa Romeo 8C Competizione (from which the SV 9 clearly drew its inspiration, as well as its name) with a 2009 Chevy Corvette. The concept for the SV 9 C (Competizione) was introduced by the SV Motor Company on July 24, 2009. At that time, the company produced a series of computer-generated renderings which depicted a highly-stylized C6 Corvette that included several Italian design elements including circular rear taillights (like those found on the Alfa 8C Competizione). During its introduction to the world, SV Motor Company promised that the car would debut later that same week in San Francisco, and would be on display at the Concorso Italiano the following month. 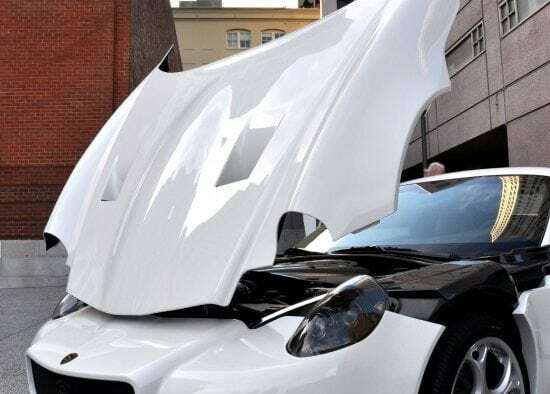 They also stated that they planned to build just 1,000 of these unique automobiles with an asking price of $99,995.00 a piece, which included the purchase of the donor Corvette as part of the package. 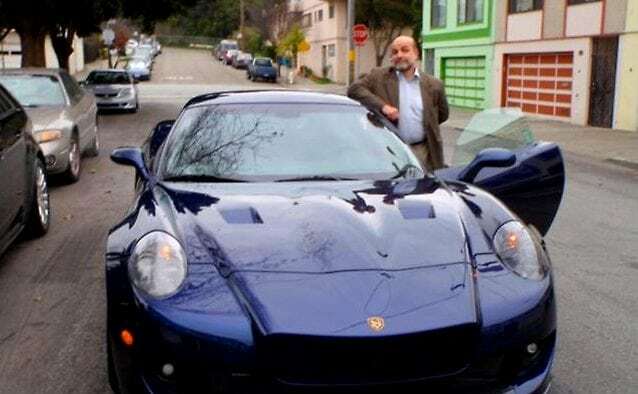 As promised, the first example of the SV 9 C was introduced in July, 2009 in downtown San Francisco ahead of the car’s “official” launch at the Concorso Italiano on August 14th, 2009 in Pebble Beach. At its unveiling, the manufacturer promised customers that they’d have the ability to dramatically customize the car, offering consumers a choice of twenty-five exterior colors, five interior trims and four unique wheel designs. 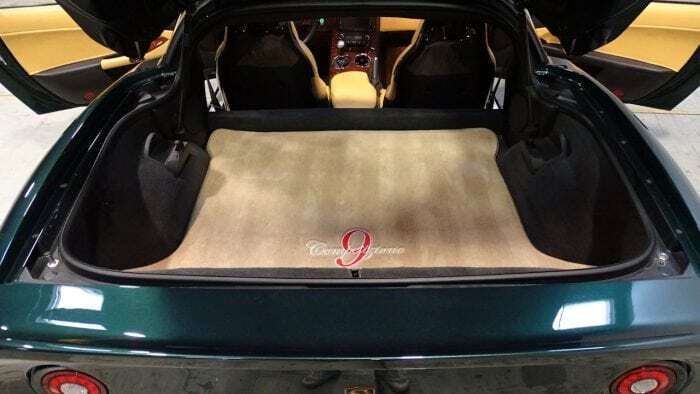 While the car retained the basic C6 Corvette platform, the donor car was tailored to specifications developed by SV Motors for use in its new car. 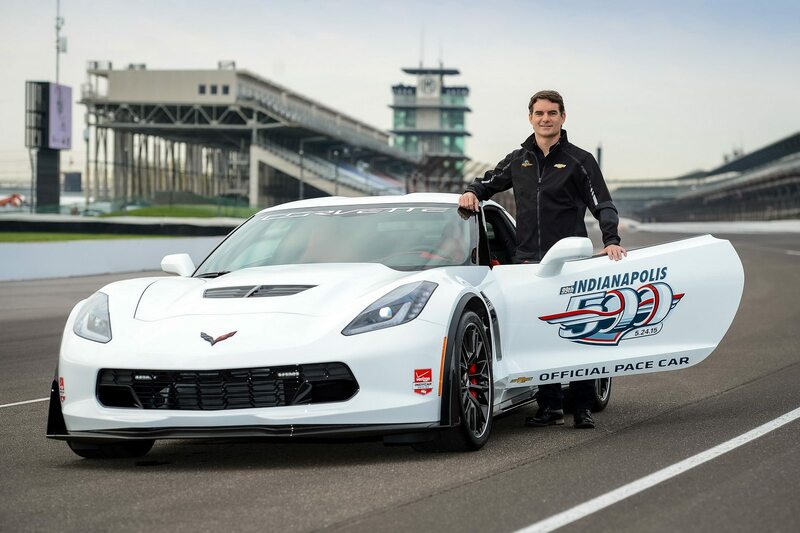 The car’s powertrain went untouched (and customers were even encouraged to consider using the Z06 platform as the donor car for improved performance), but SV’s engineers tweaked the cars suspension and braking systems. They also added Pirelli PZero Rosso ultra-performance tires. Although the powerplant – Chevrolet’s LS3 V8 engine – went unaltered, SV did offer consumers the ability to boost peak engine power by purchasing SV’s revised intake and a custom-tuned exhaust option. The exhaust option included the ANSA Automotive exhaust system that had been previously developed by SV for use on the Ferrari Daytona and 599. 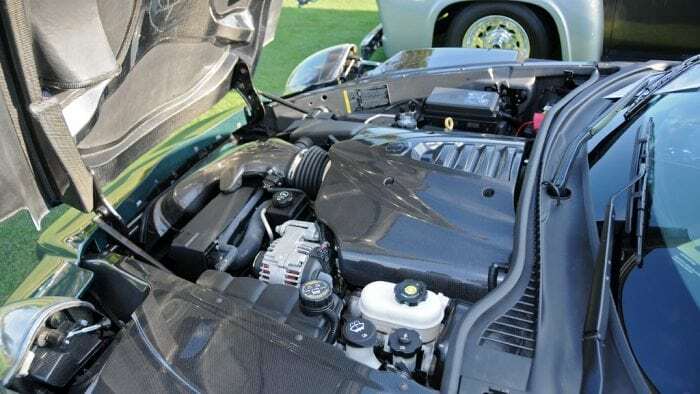 When integrated with the Corvette’s LS3, the engine output increased from 436 horsepower to 450 horsepower and resulted in a 0-60 time of just 4.0 seconds. Outwardly, SV engineers re-worked the car’s body, replacing almost all of the original fiberglass body panels with full carbon-fiber bodywork. 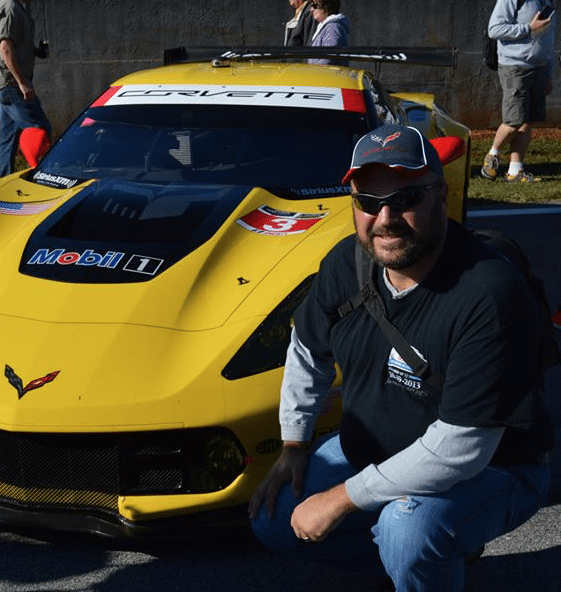 The result of this re-work was a 132 pound weight reduction from the Corvette’s curb weight. It also enabled the engineering team to produce a perfect 50/50 front to rear weight distribution. While the re-work of the car’s exterior improved the car’s overall functionality, there is little question that the designer behing the SV 9 was far more interested in rendering his own vision of an Italian sports car than he was in enhancing the drivability of a C6 Corvette. The car features headlamps that look as though they were lifted directly from an Alfa Romeo parts warehouse. The front nose features a snout that is more pronounced than that found on Alfa’s 8C Competizione, though the similarity is once more unmistakable. The rear-end design definitely lifts all its cue from the 8C, though these enhancements actually compliment the overall look of the car. Gone is the inner taillight on each side of the rear fascia. Instead, a single circular taillight and outboard exhaust once-more compliment the car from which it was inspired, and gives the SV 9 C a wider, more aggressive appearance. While it might sound as though the launch of the SV 9 was “the stuff of dreams,” the rest of the history behind the SV 9 Competizione carries more than just a bit of scandal with it. Sadly, for those investors that helped to bring this car to life, it also brought a great deal of financial hardship. Remember we told you that the SV Motor Company’s original vision was to build 1,000 of these custom sports-cars at a price of just under $100k a piece? The reality is that only four examples of the SV 9 Competizione were ever manufactured. According to victims, Viola falsely claimed to be the trustee of Ralph Napolitano, and used Napolitano’s identity and social security number to set up bank accounts and business contracts. The twist? Mr. Napolitano was already decesased when Viola began this scheme. This SV 9 Competizione is one of only four customized Corvettes of its kind in existence. After setting up the accounts, Viola convinced as many as 60 investors to back the development of a new concept vehicle – the SV 9 Competizione. He sold the concept as a customized Corvette that would “include extensive bodywork and an all-new interior.” Although Viola went so far as to build a prototype and create extensive renderings of the car that were then distributed to every enthusiast automotive website in existence, it was later identified that much of the money went directly into Mr. Viola’s pocket. Viola proceeded to “cook the books,” telling his investors that the business was profitable and that they’d be looking at a healthy return on their investments. However, it didn’t take long for law enforcement to catch up with Viola. He was indicted on investment fraud charges in August, 2010, almost one year to the date of the SV 9 Competizione’s debut in Pebble Beach. He was later convicted and is currently serving several sentences in an Arizona prison. As for the SV Motor Company? After Viola’s arrest, most references to the company disappeared from the internet. Of the 1,000 SV 9 C cars that were to be built, only four were actually completed! This SV 9 Competizione sold at the Barrett Jackson Auction on June 22, 2018 for just $34,100.00, which is nearly one-third its original asking price just 9 years earlier. All four of the SV 9 Competizione Corvettes still exist and are owned by a small handful of collectors all across the country. While the cars themselves may not warrant the attention that some aftermarket builds demand, they are nonetheless a unique offering when one pops up on the auction circuit. 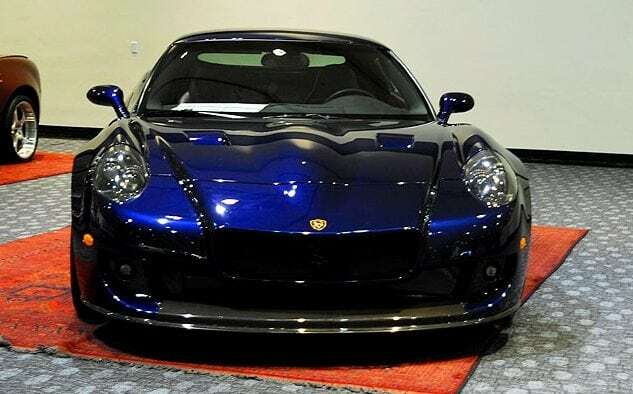 Interestingly, there was one available for sale via the Barrett Jackson auction in Uncasville, Connecticut this weekend. Given the unique nature of the SV 9 Competizione, it will be interesting to see how these one-off Corvettes fare in the future from a collector’s standpoint. 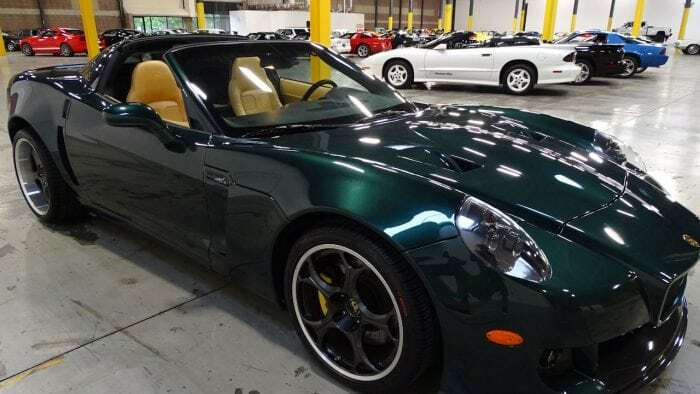 The car, Lot #379, was listed as one of “only four of these 2009 SV 9 Competizione Corvettes ever produced.” This one is finished in dark green over a Palomino Tan and Obsidian Black leather interior. It comes equipped with the Z51 performance package, which includes 14.1 cross-drilled brake rotors, stabilizer bars, springs, shocks and gear ratios. It features an ANSA exhaust system, Osram xenon headlights, active aerodynamic carbon-fiber bodywork, as well as all the features that came standard on a 2009 Corvette. The car crossed the auction block today (Friday, June 22, 2018) and sold for just $34,100.00. 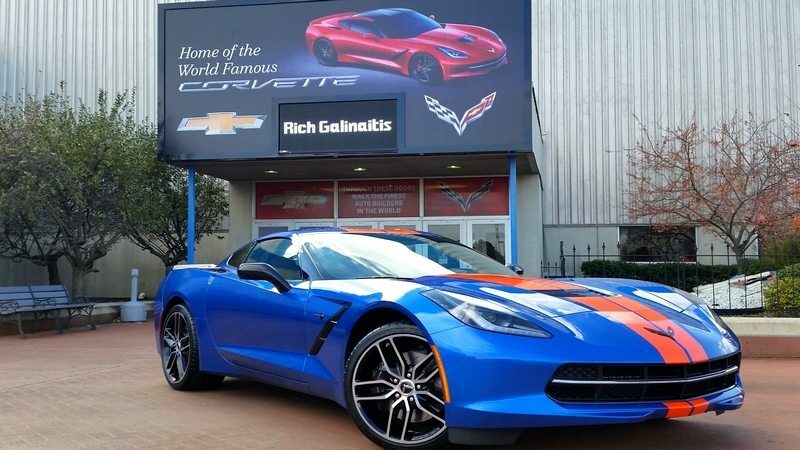 Given its rarity and the uniqueness of its history, this low sell price suggests that the car itself does not hold up well against other collector-quality Corvettes. Still, it will be interesting to see how these unique Corvettes fare in the years to come as they continue to trade hands from collector to collector. This much is certain, the SV 9 Competizione Corvette is definitely an interesting addition to the history of the brand.